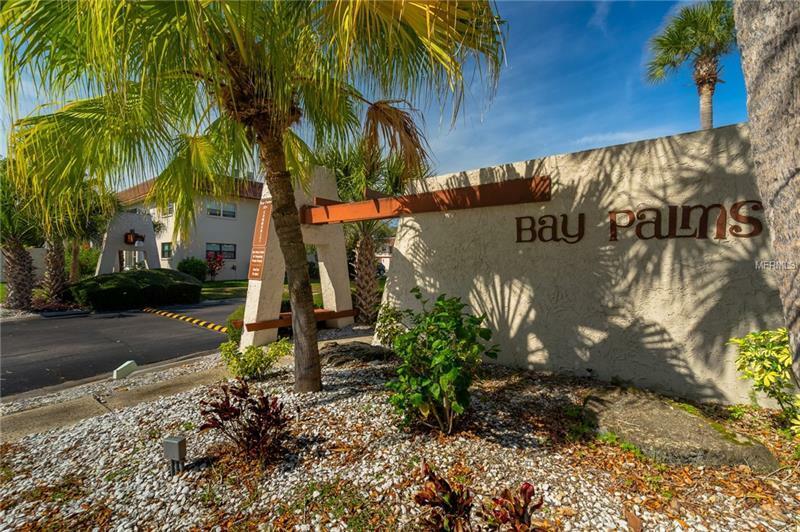 Spacious second floor 2 bed / 1 bath condominium available now in the well-established Bay Palms 55+ community. This home features a well-sized living area with 2 large bedrooms and an additional enclosed sun-room. Community amenities include a heated pool, clubhouse, floor shuffleboard courts, and laundry room. The HOA fee includes cable tv, exterior maintenance, sewer, trash, and water to offer a truly hassle-free living experience. This is a prime Pinellas County location for active adults looking for affordable living with closeness to award-winning beaches, golf courses, shopping, dining, libraries, parks & more. This complex is a 55+ community. Don’t miss out, call today to schedule your showing! Copyright © 2019 Mid Florida MLS. All rights reserved. The data relating to real estate for sale on this web site comes in part from the Internet Data Exchange Program of Mid Florida MLS. Information provided is for consumer's personal, non-commercial use and may not be used for any purpose other than to identify prospective properties consumers may be interested in purchasing. Charles Rutenberg Realty participates in the MFRMLS Internet Data Exchange (IDX) program, allowing display of other MFRMLS broker's listings on this site. However may not include all listings currently available. Information is deemed reliable but not guaranteed. Information last updated at 2019-04-26 09:13:23.